Born in 1919, Javie was a first generation Polish America; his parents came to the United States from Poland when they were young and settled into a Polish section of Philadelphia called Manayunk. Stan was the second youngest of eight siblings. He attended and graduated from Saint John High School where he also coached three sports for many years. He graduated from Georgetown University. Stan excelled in teaching, coaching and officiating. Some of his greatest memories were those earlier days “in the trenches” as a player and coach. He served as basketball coach at Malvern Preparatory School while spending much time as a football and basketball official. His excellence in officiating eventually led him to the National Football League as an official – rather than a player – which he might have been since he was drafted by the Philadelphia Eagles. 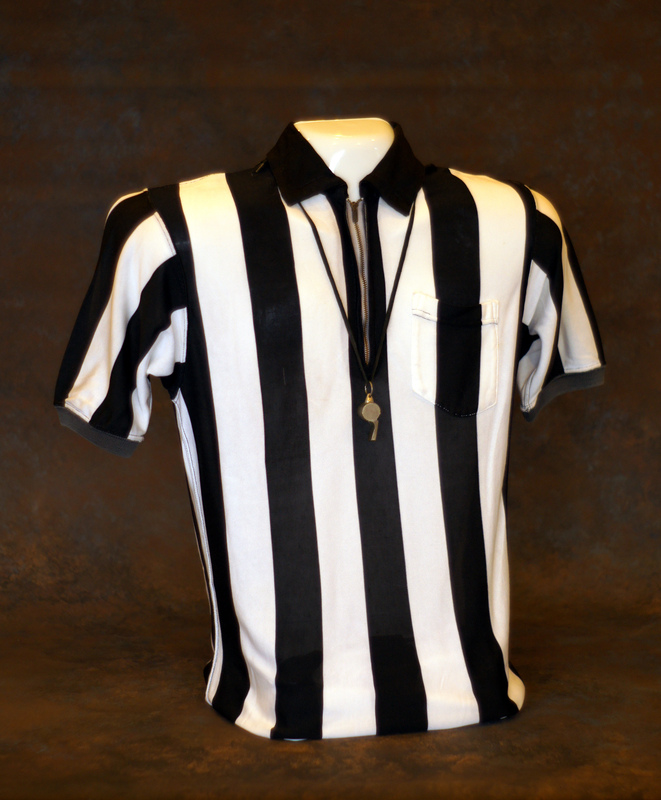 His 30-year term (1951 to 1980) as an NFL official was a testimony to his ability. Stan’s career as a player, coach, and official was full of successes and fond memories yet his highest feelings were toward his ability to contribute positively to the success of the young athlete, both on and off the athletic field. A much sought after speaker, he contributed as much to athletics as a “good will ambassador” as he did as a long time participant in athletic competition. Stan and his wife Stella lived within a few blocks of each other in Manayunk and met each other growing up. After they were married they raised three children of their own – Jay, Sharon and Steve. The officiating legacy of Stan Javie is carried on today by Steve, who is in his 25th season as a National Basketball Association official and is one of the best in the business, working 1,500 regular-season games, 215 playoff games and 21 Finals games. “Dad was a first generation Polish American and proud of it,” said Steve Javie. “His parents came over from Poland when they were young and his father tried to find work. My mother’s parents also came over from Poland, and she too was a first generation Polish American. “Dad changed our family name (Jaworowski) to Javie back in the sixties. This was the name the family used in the businesses they had so people often called us Javie since it was easier to pronounce and spell. Stan Javie was an executive for a local paint company in the Philadelphia area called MAB Paints (they recently were bought out by Sherwin Williams). Before he worked for the paint company he was a high school teacher and coach in the Philadelphia area. And what a teacher he was – especially to aspiring players and officials. Retired NFL referee Red Cashion understood the value of working on the field with Stan. Highly respected, Javie was selected as a back judge to work four Super Bowls; the highest honor accorded an NFL official. He was assigned Super Bowl II (Green Bay 33 Oakland 14) in 1968 (Miami); Super Bowl VIII (Miami 24 Minnesota 17) in 1974 (Houston); Super Bowl X (Pittsburgh 21 Dallas 17) in 1976 (Miami) and Super Bowl XIV (Pittsburgh 31 Los Angeles 19) in 1980 (Pasadena). “My Dad stood for everything an official should stand for,” said Steve Javie. “He was a man with great integrity and conviction. He was one of the greatest teachers of officiating I have ever come across. It did not matter that he and I officiated different sports; he knew what was important to gain the respect of the coaches, players and especially your fellow officials. “Dad once told me that what the players and coaches felt about you was not important. What mattered most was what your fellow officials thought of you. They were the ones who were on the court with you and were completely objective, unlike the players and coaches. “In this age of being critical and getting ahead in our career at another’s expense, my father taught me to always be supportive of my fellow officials. He never once criticized another official, no matter what the sport. When he saw a replay and it looked like the official blew the call, Dad would always say no one had the angle on the play that the official did. He was right. We can only call the play with the angle we have at that moment. 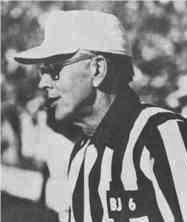 Javie was also notable for being one of the few officials to wear eyeglasses or sunglasses on the playing field during a game. 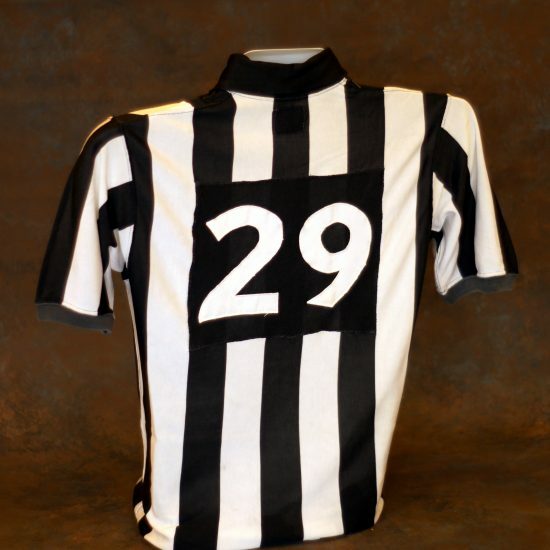 He wore the number 29 for the majority of his career. For the 1979 and 1980 NFL seasons, Javie wore the number 6. To honor his father, son Steve wears number 29 in the NBA. 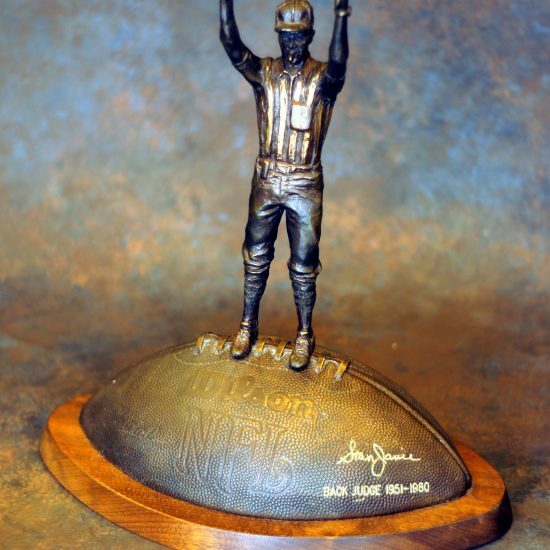 The NFL officials’ crew which worked with Javie at his final game in 1980 surprised him with a special plaque, presented in the officials’ dressing room to their retiring colleague. Referee Ben Dreith and fellow officials Pat Mallette, Bill Reynolds, Bob Boylston, Ed Ward and Dale Williams were there to sum up this great man’s career. 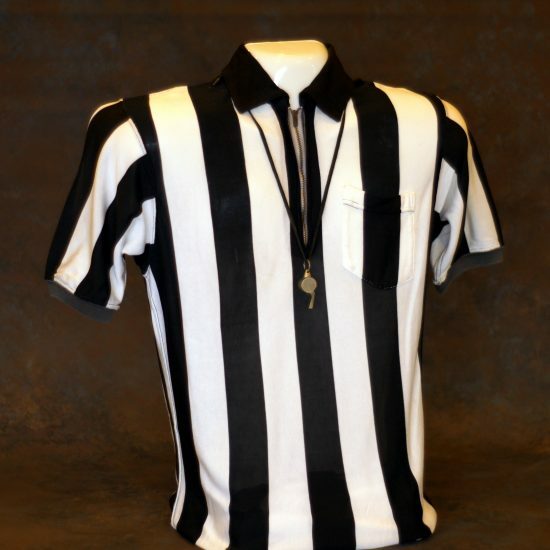 “Stan Javie left a legacy of excellence in, and dedication to, professional football officiating. 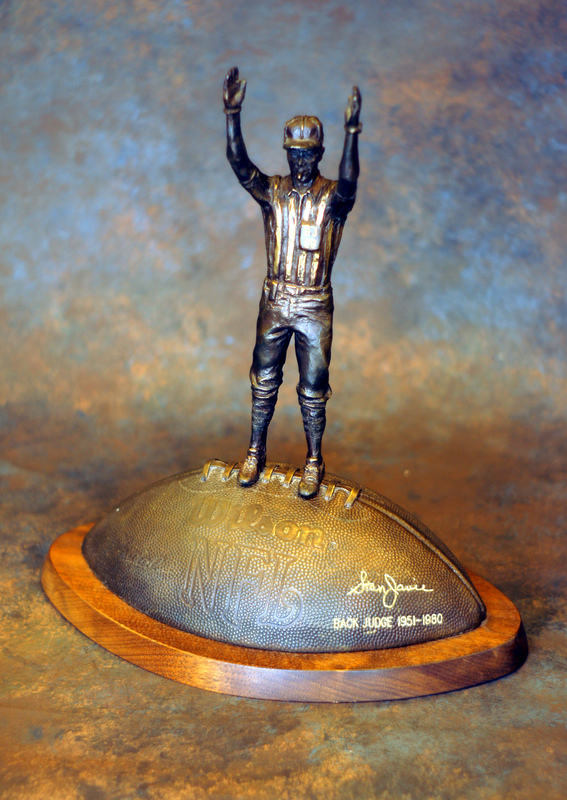 His tenure in the NFL reflected the highest level of personal and professional ethics and ideals. “Owners, coaches, players and colleagues hold him in the highest esteem and confidence. His contribution to his officiating colleagues, the NFL office and the professional officials association are legion. “Stan was instrumental in developing the talent of many officials through his desire and rare ability to teach officiating mechanics and his philosophy of enforcing the rules. He received the highest compliment possible from his fellow officials. TO ACCOMPLISH EXCELLENCE COLLECTIVELY, NOT AS ONE. I WILL NOT PROVIDE THE VEHICLE TO CARRY YOU. 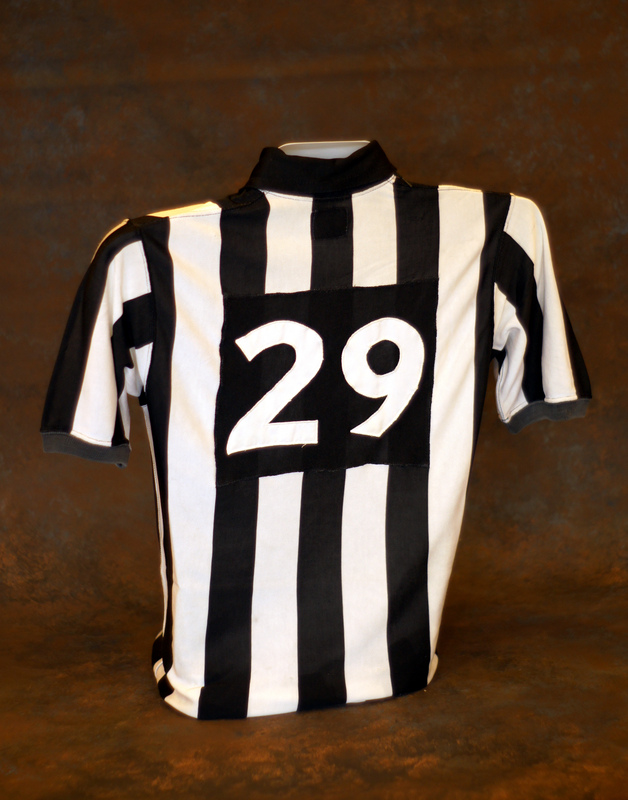 FOOTBALL, IT WOULD BE STAN JAVIE, # 29. Stan passed away in 2002, just two years following the death of his beloved wife Stella. His legacy and memory are honored by the National-Polish American Sports Hall of Fame at this, the 39th Annual Induction Banquet. To say his family is proud and thankful for this special recognition afforded Stan Javie is probably understated. Our caps are doffed to one of football’s greatest officials ever and a man proud of his ethnic heritage.